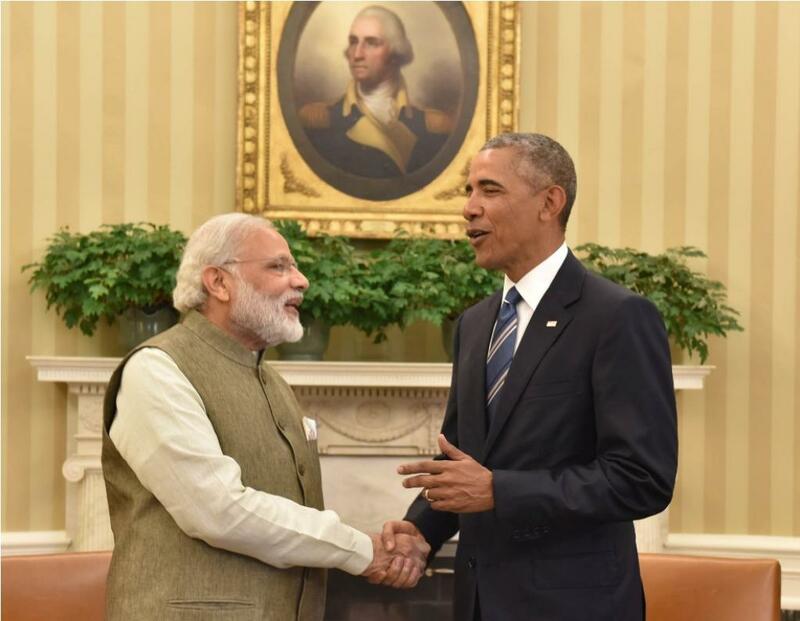 During his fourth trip to the United States last week, Indian Prime Minister Narendra Modi sat down to discuss bilateral relations with US President Barack Obama. Following the meeting, the White House released a joint statement on progress in US-India relations, much of it in the area of climate change and clean energy. In his Wednesday address to the joint session of US Congress, Modi characterised the nature of US-India relations on climate as one that “aims to balance responsibility and capacity”, partly by scaling up renewable energy in India. As two of the world’s top emitters, US-India relations on climate are critical to the world staying below a 1.5°C rise. But does their partnership truly represent an equitable balance between “responsibility and capacity”? Have the billions of dollars invested in Indian renewables been in line with US responsibility as a historic emitter and party to the United Nations Framework Convention on Climate Change (UNFCCC)? Furthermore, is the US being held accountable to its own commitments on domestic mitigation? Here I take a deeper look at this partnership and outline the equitable way forward. A few billion steps in the right direction? The Modi administration has set an ambitious goal of increasing installed solar capacity from the current 7 GW to 100 GW by 2022. This announcement came with a call for US $100 billion of foreign investment. The US was one of the first to answer this call: the Export-Import Bank was a top financer of National Solar Mission Phase 1 and PACE (Partnership to Advance Clean Energy) has mobilised $2.5 billion in private and public resources. Last Tuesday’s meeting came with a commitment to financing an additional 5.4 GW. The US has also partnered with India on a number of other important climate initiatives, including knowledge sharing, technology transfer, and the recently launched $7.9 million PACEsetter Fund, which provides grants for innovation on clean energy. The expanse of the partnership is impressive, but the quality of these investments has been questionable. Much of the aforementioned $2.5 billion has prioritised US industry over India’s specific energy needs and emerging domestic solar market. Climate finance is not an institution meant to bolster a developed country’s economy with a nod to climate stewardship. The EXIM renewable energy financing has been contingent on the use of “made-in-America” products and it is unclear how favourable the terms of financing coordinated through The Overseas Private Investment Corporation (OPIC) have been. In order for investments to be considered equitable climate finance, there must be a commitment to limiting risk for Indian companies and citizens. The more that US climate finance empowers India to develop its own local energy market rather than supplanting it, the sooner mitigation goals will be reached. Beyond the questionable structure of the financing schemes, much of the private finance mobilised has gone towards mega-sized, on-grid solar projects. Three hundred million in India live without dependable access to electricity, but the majority of this population lives in rural areas where a connection to the grid is not feasible. Though the US has recently taken steps to increase funding in this area with the Catalytic Solar Finance Program, there is much progress left to be made. The second financing gap is in adaptation. India has estimated a need for nearly $206 billion in adaption funding between 2015 and 2030 in adaption finance, but the US-India partnership includes just one programme on climate resilience. The promise of an “enhanced strategic partnership” is compelling, but in context of the recent World Trade Organization (WTO) solar case it is less than convincing. In 2014, the US filed a complaint to the WTO on India’s domestic content requirement (DCR) for solar development, and in February the WTO ruled against India, stating that the DCR rules were an unjustified discrimination. The ruling will have minimal impact on India’s solar market, as most state solar plans have never included DCR, but it is a clear contradiction of the spirit of the strategic partnership on energy, especially since the US has its own set of restrictive policies to protect domestic solar manufacturers. The larger contradiction is, however, US inaction on climate. The “join statement” on the US-India partnership takes on a one-sided narrative of India’s commitments to decreasing emissions and transitioning to a green economy. Meanwhile, the US economy remains a rusty shade of brown. While India gets 13.6 per cent of its energy from renewables and emits 1.8 tonnes of CO2 per capita, the US falls behind at 12.5 per cent with six times the emissions at 16.5 tonnes per capita. By 2022, India aims to have 170 GW of renewable power capacity, but the US only aims to reach this level in 2025. Private climate finance should continue to be scaled up, but with a commitment to equitable risk distribution and prioritising growth in India’s domestic solar market. The US should focus on financing decentralised energy access. The $20 million for “project preparation” the US recently committed through the US-India Clean Energy Finance initiative would best be spent on off-grid smaller scale project preparation. Partnership on adaptation must go further. Both countries are already facing adaptation challenges and the steep learning curve will be best tackled with knowledge sharing and mutual support. The US should reaffirm and increase its own commitment to a green economy.